A somewhat interesting rumor — and to stress, that’s all it is right now — cropped up over the weekend, courtesy of Ken Rosenthal. Sources: #Reds’ Bruce a consideration for #Dodgers. Ethier’s return uncertain; Pederson only LHH OFer. Bruce cannot block trade to LAD. Jay Bruce, eh? He’s a former top prospect, Reds lifer (so far) and solid offensive player. He isn’t a game-changer by any means, but would definitely give the Dodgers an offensive boost. But there are a number of things to consider when processing this rumor. As Rosenthal mentions in the tweet — and most prominent — Andre Ethier‘s return is in question. He has been out since fracturing his tibia after fouling a ball off his leg in spring training, and the original prognosis was 10 to 14 weeks, as Sarah wrote. That was on March 22. Even with a 14-week prognosis, that would put him back in just eight days. 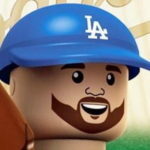 But Ethier has unable to do any baseball activities during this time, meaning there is no chance he’s coming back the first week of July. Ethier was hitting really well in spring training, and he was even in consideration to be the Dodgers lead-off hitter, but he hasn’t swung a bat since March 19. The maximum number of rehab days for a major leaguer is 20 days, so (for argument’s sake) let’s just say he’d need that long in the minors to get his swing back. If he begins a rehab assignment after the trade deadline (Aug. 1), that would put him back — at best — with less than six weeks left in the season, and there’s no telling how good or bad Ethier would be. Acquiring Bruce to essentially be the Ethier in this offense would ultimately be conceding Andre’s 2016 season. Another thing to consider is the contract statuses of each player. Bruce, 29, is signed through the end of this season and has an incredibly team-friendly option for 2017 at $13.5 million ($1 million buyout). Ethier is signed through the end of next season at $18 million, and he also has a team option for 2018 at $17.5 million (with a $2.5 million buyout). Even if Ethier were hitting extremely well, I’m not sure the Dodgers would exercise that option as he heads into his age-35 season. So unlike Ethier’s deal, Bruce’s contract makes him tradeable in the offseason, and it might come down to that because there’s no way they could carry both he and Ethier next season for a combined $31.5 million. It’d be a Carl Crawford situation all over again. As far as Bruce’s performance goes, he’s having one of his best offensive seasons to date. By wRC+, he would best his previous career-high by seven points (131), and he has a career-best isolated power at .296 thanks in large part to the fact he’s third in the National League in extra base hits with 40. With the increase in power has come a decrease in walk rate from 2015 (8.9 to 6.2 percent), but also a decrease in strikeout percentage (22.3 to 20.9 percent). He has also held his own against left-handed pitching (.282/.313/.500, 112 wRC+), meaning he wouldn’t have to be platooned often. He’s a fly ball hitter, with his average launch angle at 14.3 degrees for the season (89.5 MPH exit velocity), so it’s a positive that his HR/FB% is at 19.8 percent. That rate is helped out by Great American Ballpark (11 home runs there vs. six on the road), but he has been a much better hitter on the road this season (160 vs. 104 wRC+), so that doesn’t appear to be a major factor. Despite the offensive output, Bruce’s fWAR sits at a paltry 0.2, and as you might assume, that’s due to a severe regression in his defensive metrics. He’s currently second-worst in baseball with -9 defensive runs saved and the worst in MLB with a -28.4 UZR/150. However, last season he was at 5 DRS and -3.8 UZR/150, so while he’s not Roberto Clemente out there, it’s hard to believe he’s gone from middle-of-the-road defensive right fielder to baseball’s worst in the span of one season. Then again, Bruce probably won’t be in right, because no matter how much Yasiel Puig has struggled with the bat, he’s a defensive asset in right field. Bruce’s strong arm would presumably play up in left field, which could have a positive impact, but he hasn’t played the position since 2008. Despite that, the move from right to left field isn’t that big a deal. Having Bruce in the fold would allow the Dodgers to think about demoting Trayce Thompson to Triple-A Oklahoma City to work out the kinks in his approach, as he hasn’t been the same hitter this month as he was in the previous two. That would also almost force Dave Roberts to play Joc Pederson against left-handed pitchers, which is a thing that should be happening already. And Scott Van Slyke and Enrique Hernandez (for now) would still exist to be the right-handed bats off the bench. All that said, the cost for Bruce might be prohibitive, as that $13.5 million option increases Bruce’s value substantially, and perhaps puts him out of the Dodgers’ price range (trade-wise). Of course, the market hasn’t developed as of yet, and it’d be silly to think it has in late-June. One thing is for sure: The Reds are going to be plenty active. Bruce is going to be an attractive bat to a lot of teams, and while I’m not sure the fit is great for the Dodgers after this season, he’d certainly give the team an offensive boost for the rest of 2016. Having said that, there’s probably a better, easier (logistically) way to acquire an offensive upgrade.